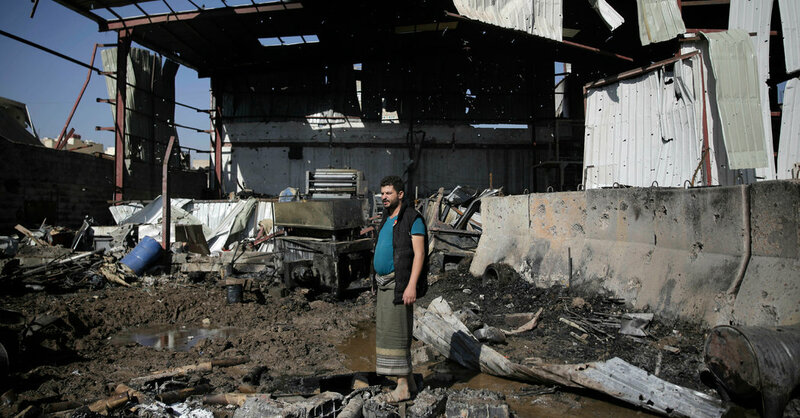 Critics, however, said Mr. Trump’s veto amounted to a “green light” for continued atrocities in Yemen, where human rights groups said there were already 10 million people on the brink of famine and as many as 100 civilian casualties a week. Mr. Trump spoke by phone last week with Saudi Arabia’s crown prince, Mohammed bin Salman, whom intelligence officials believe ordered the killing of Mr. Khashoggi in October in the Saudi Consulate in Istanbul. Mr. Trump has not accepted that assessment, saying the prince’s role in the killing was not clear. Saudi Arabia’s support will be particularly critical in coming months, if, as expected, the White House finally presents its proposal for a peace agreement between Israel and the Palestinians. Mr. Trump’s son-in-law and senior adviser, Jared Kushner, has spent months cultivating Arab leaders, chiefly Crown Prince Mohammed, to win their endorsement of the plan, which he has drafted. While Republicans like Mr. Paul and Mr. Meadows voted for the resolution, there were limits to how much they lobbied the president. Other Republicans, like Senator Mitch McConnell of Kentucky and Senator Lindsey Graham of South Carolina, argued against the resolution as an attempt to hem in the president.